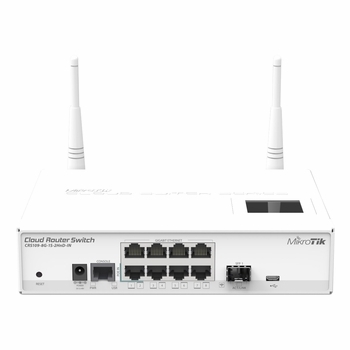 Cloud Router Switch 109-8G-1S-2HnD-IN is a new "small size low cost" member of MikroTik's CRS series. It comes with eight Gigabit Ethernet ports and high power 1000mW 2.4GHz wireless. Product supports 10-57V and is 802.3af/at compliant!